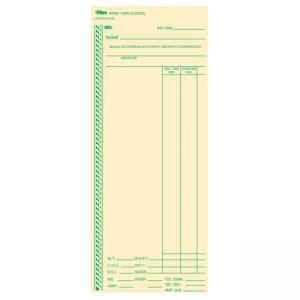 Weekly time cards feature full-day calculations and pay receipt. 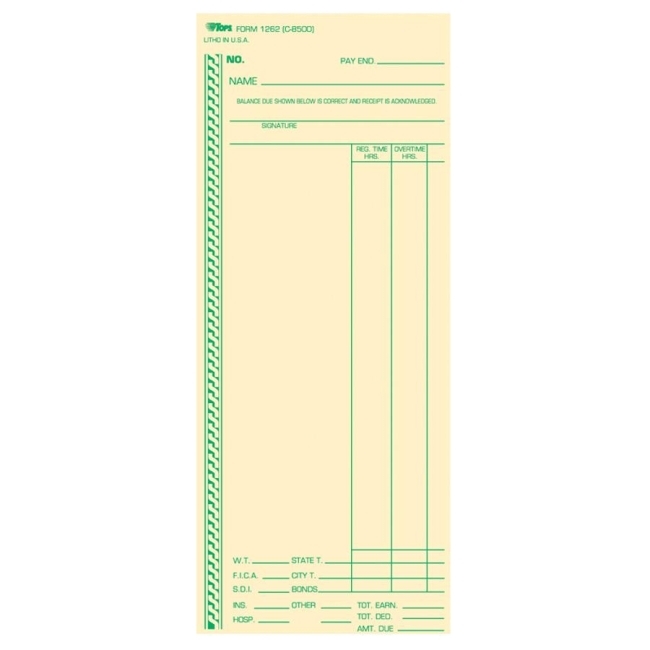 Front is printed in green ink and has a column for regular time, a column for overtime and areas for deductions, total earnings, total deductions and amount due. Extra-heavy material is made of 150 lb. manila stock. Time card replaces C8500 and J42 and is designed for use in Acroprint 200; Amano 3000; Lathem 8100; and Simplex 8400.